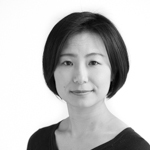 Ms. Harumi Ishijima joined UNU-IAS as a Special Assistant to the Director in April 2014. Prior to joining UNU, she worked in the Cabinet Office (Disaster Management Bureau) of the Government of Japan, where she served for three years as a researcher and translator. She also delivered seminars for officials from foreign governments to introduce government policies. Prior to that, she worked for publishing companies as a book and magazine editor, producing essays, cooking books and medical magazines, among others. She graduated from Keio University with a bachelor’s degree in Environmental Information in 2003.